If you’re considering DRaaS as an option for your enterprise there are few questions you should ask yourself and any provider you’re looking into. Here are eight that WEI frequently discusses with our clients on the topic. 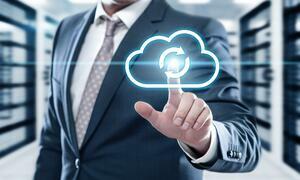 Can My Data Be Stored in The Cloud? It pays to discover what’s viable, given your organization’s own compliance or security policy. Highly regulated industries, such as finance or healthcare, may find they need more control over their data in order to comply with strict requirements for data compliance and security. Does the data need to be encrypted? Some DRaaS providers may still offer the assurance, industry practices and designations required to calm such concerns, but you need to find out ahead of time. How Much Data Do You Need to Store in the Cloud? The more data you need to store, the more money it will cost. Some disaster recovery as a service providers use efficient technologies to help reduce or compress the amount of data stored in their cloud environment. If they do, can they pass that savings on to you? Is the Data Worth Storing in the Cloud? When it comes to disaster recovery, not all of your applications and data are created equal. Does everything need to be stored in the cloud? Usually, the answer is, “No, not everything is worth storing there.” Certain data you’re willing to risk; other data you’re not. Some types of data may not warrant the cost and expense of replication to the cloud. Since cost factors into DRaaS, make sure the data and applications you plan to protect warrant this method. You may decide disaster recovery as a service makes sense only for Tier 1, mission-critical applications with very short downtime requirements. How Will You Get Your Data to the Cloud Provider? The initial uploading of data, as well as on-going updates, is a real factor to consider for DRaaS. If the whole point of DRaaS is to ensure your data can be recovered in the event of a disaster, make sure you know how long it will take to get the data in that state at the provider’s site, and how long it takes on an on-going basis. [click to tweet] For example, if you have 50TB of data you need to put in the cloud but you only have a 100-Mbit internet connection, it could take you four months to get your data uploaded. If there’s a disaster in that four-month period, does that mean your enterprise is unprotected? For larger data sets, many DRaaS providers offer faster, manual options for initial cloud “seeding.” This may mean copying your organization’s data locally to an appliance or to backup tapes, then shipping them to the provider for the initial upload their site. This question is at the crux of DRaaS. How does it help you restore that data in the event of a disaster? Before you sign on the dotted line with any DRaaS provider, make sure you understand the steps involved in declaring a disaster, failover and failback, as well as what’s expected of your organization and the service provider during this time. This process needs to be documented and understood. The provider should have expectations and provisions in detail in their service level agreement (SLA). How Quickly Can You Restore? Along the same lines of how you will get your data back, you need to also know how long it will take. For key disaster recovery scenarios, make sure you understand how long it will take to recover your data or systems. Is Your Bandwidth Good Enough? If you’re considering disaster recovery as a service, one of the first things you need to evaluate is whether or not your bandwidth and internet connections are robust enough for transmitting data to and from a DRaaS provider. The faster you can transmit data, the more you can store in the cloud. As mentioned above, storing your data in the cloud means you have to pay for the privilege. Large amounts of storage tend to equal high cost, as do fast recovery and high bandwidth. These all need to be factored in when exploring disaster-recovery in the cloud. Have questions about how disaster recovery as a service can help your business in the case of an emergency? Contact WEI today to talk to one our cloud storage experts. Want to learn more about DRaaS? Check out our whitepaper titled "Backup and Disaster Recovery for the Cloud Generation."